I'm an avid vintage shopper, especially when it comes to bags. 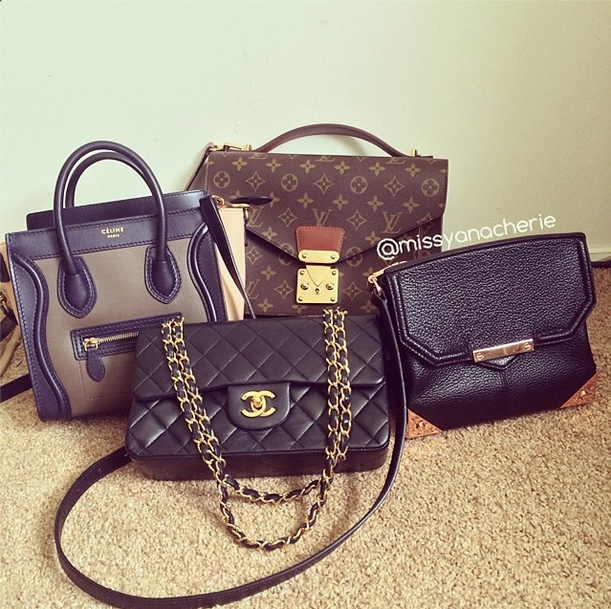 Many of my bags are vintage, including my beloved Chanel flap. I find that vintage bags often have a better quality to them - as well as an undeniable charm. I've also recently begun a foray into eBay with mild success. One of the fruits of my endless eBay searching labor (read: scrolling on my laptop) was this gorgeous vintage Louis Vuitton Monceau. 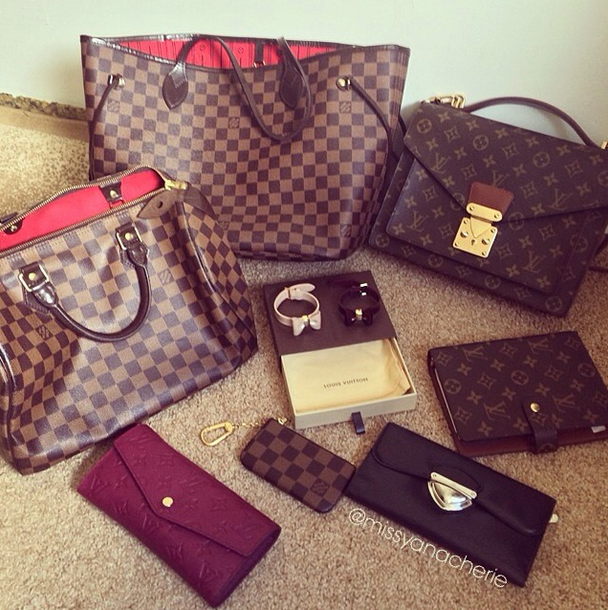 A problem with many older styles of Louis Vuitton bags is inner-pocket stickiness. When these bags are kept in humid climates, the faux leather inner pocket is prone to developing an unpleasant black stickiness. Many of these bags are sold from Japan, where they are very likely to develop the inner pocket stickiness problem - something to watch out for when buying these secondhand. The good news is that the rest of the interior is leather, so the problem does not occur elsewhere. Another thing to look for is edge wear and feathering and fraying on the edges, sides, and straps of the bag. How much did you pay for this monceau bag? Push the two buttons on the sides of the clasp in towards the clasp; it should open! I just bought this bag (for $950) from a lady on eBay, but I'm having some doubts about it. 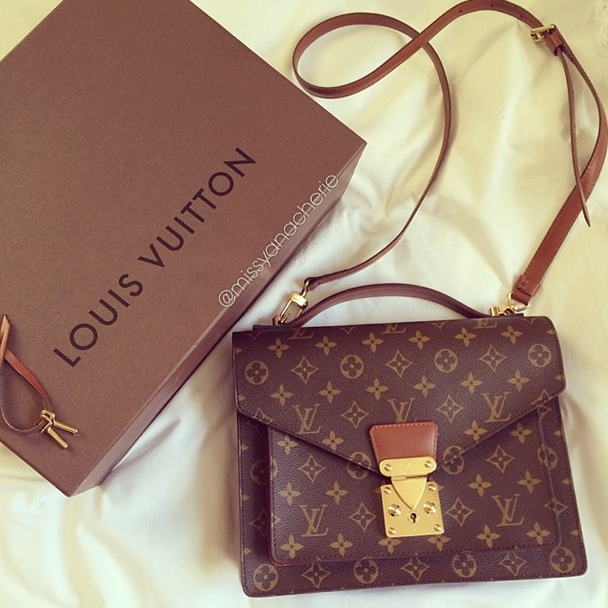 I took it to Louis Vuitton store, and the staff over there told me it might be fake by looking at it. However, the seller still confirms that it is authentic and asking me to call Louis Vuitton store in Rodeo Drive, CA to confirm the bag authenticity. Would please send me close images of your bag so I can compare it with mine? 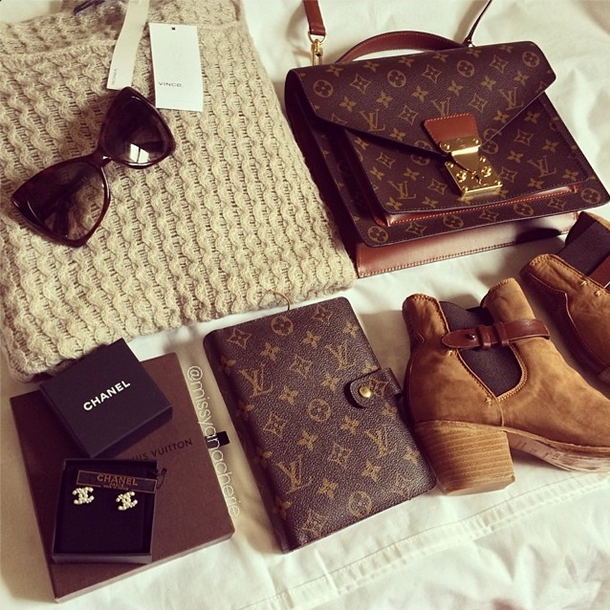 Specially the back of the lock, serial number, the back of the bag, the LV logo inside the bag.